Includes Free CD of the entire Album. 180 Gram Pressing. 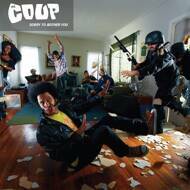 Boots Riley and The Coup are back, with Killer Mike and Das Racist on their sixth album.